Dr Joe Bhat brings a high level of skill to his treatments of patients with complex dental needs. His focus is on the replacement of teeth using dental implants. At his practice in North London, you’ll be treated by a team of contemporary dental professionals with a wealth of practical knowledge and a keen interest in the latest techniques. When Joe Bhat and his team replace your lost teeth, you’ll regain the durability, efficiency, and cosmetic appeal of your natural smile. There are over 300 other dentists who refer their patients to Joe Bhat. The problems caused by missing teeth become complex when joined by other dental health conditions. Joe’s practice, the Moor Park Specialist Dental Centre, overcomes complex dental problems with high-quality procedures. However many teeth you’ve lost, or are at risk of losing, you’ll find fully-customised replacements that restore your dental function. Joe Bhat has placed over 5,500 dental implants. After he qualified as a dentist in 1992, he trained at many of the country’s leading dental institutions, leading to the award of Master of Clinical Dentistry from the University of London. In 2001, he was awarded a Membership in Restorative Dentistry by the Royal College of Surgeons, Edinburgh. For many years, he has trained and mentored other dentists to enhance their skills in implant dentistry. He has given many lectures on the subject, both in the UK and around the world. Dr Joe Bhat can stabilise your existing dentures or bridges by using implants. This can free you from the bother of using adhesives to keep the teeth in place. The improved performance of the implanted teeth will mean you can enjoy biting into and chewing your food. There’s no risk of teeth falling out onto the dinner table. It can be easier to talk after receiving your implants, because the new teeth are stable and strong. They’re tailor-made to look natural in your mouth, and the improvement in your smile will be plain for all to see. The attention to detail offered by Joe Bhat and his team will give you a truly enhanced dental experience. This entry was posted in Dental Implants on 28th February, 2018 by Joe Bhat. The dentist Joe Bhat is highly experienced in the placing of dental implants. He has given more than 5,500 of them to the patients of the 300 dentists who refer to him. 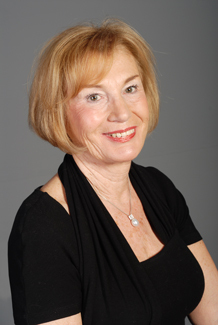 He has lectured on the subject of implant dentistry extensively in the UK and overseas. Through training and mentoring schemes, he helps other dentists to gain the skills they need to successfully place implants in the most efficient and effective way. Whichever variety of tooth loss has caused you to seek a dentist, Joe Bhat and his team will provide you with reliable replacement teeth. If you have oral health complications, we are experienced in devising ways to overcome them. In doing this, we can restore your dental function and enhance your aesthetic appeal. You’ll be able to enjoy your food with gusto and smile without embarrassment. Tooth loss happens in a variety of ways. You may have fractured or knocked out a tooth while playing sports. You could have lost a whole set of them to years of gradual decay. The dissatisfactions arising from tooth loss are numerous. You may feel like you have to hide your smile when posing for photographs. Chewing food might be problematic. The remaining teeth have to work harder, and can be tricky to clean. The dentist Joe Bhat can provide you with new teeth that function like natural ones, and look just as good. He has years of experience in providing this life-enhancing treatment, and the results will last for a long time. If properly looked after, the new teeth could stay in your mouth for decades. If you already wear removable dentures, implants can be used to stabilise them. This will improve your overall experience when eating, drinking and speaking. Paying attention to detail, the contemporary dentist Joe Bhat will create a customised treatment plan for you, and explain exactly what your treatment will involve before it begins. It can take several months to complete the procedure, and the exact length will vary depending on your needs. Once your new teeth have settled in, you can start enjoying their benefits straight away. This entry was posted in Dental Implants on 26th February, 2018 by Joe Bhat. Dr Joe Bhat is a skilled and knowledgeable dentist. In his many years of high-level clinical experience, he has placed over 5,500 dental implants. There are over 300 other dentists who refer their patients to Dr Joe Bhat for the treatment of complex tooth replacement needs. His Moor Park Specialist Dental Centre in north London is an institution that offers multi-disciplinary dental care in a forward-thinking environment. Your dental needs will be treated with contemporary techniques and considerable attention to detail. Dr Joe Bhat can significantly improve your dental function and oral health with a wide variety of treatments. You may have lost a single tooth while playing sports, or a whole set of teeth due to years of decay and disease. You may need a bone graft to ensure you have sufficient bone density for a dental implant to be successful. Perhaps you already wear bridges or dentures, and would like to use implants to secure them in the mouth and relieve you of the need to use messy adhesives. Dr Joe Bhat and his team have a wealth of experience in meeting these needs and providing patients with long-lasting and fully-functioning dental enhancements. Dr Bhat qualified as a dentist in 1992. Since then, he has gained many further qualifications, and was awarded a Membership in Restorative Dentistry from the Royal College of Surgeons, Edinburgh, in 2001. He runs his own implant dentistry training scheme, and is in demand as a speaker and lecturer both in the UK and internationally. Dentists come to his practice to learn how to enhance their skills and provide improved results for their patients. Your treatment with Dr Joe Bhat will proceed according to a carefully-crafted plan. Usually, a period of healing is required between placing the implants in the jawbone and attaching the new teeth to the implants. The exact duration will vary according to the complexity of your needs, but two months is a typical length of time. Once it’s over, you’ll be able to enjoy a significant improvement in your dental function as well as an enhanced aesthetic appeal. This entry was posted in Dental Implants on 21st February, 2018 by Joe Bhat. The dentist, Joe Bhat has placed over 5,500 dental implants.He has lectured on the subject of implant dentistry many times, both in the UK and internationally. He helps other dentists to gain the skills and experience necessary to excel in the placement of dental implants. At his Moor Park Specialist Dental Centre in London, you’ll find a friendly team of contemporary dental professionals who provide a high level of care for complex tooth replacement needs. As an internationally-renowned and thoroughly experienced dentist, Joe Bhat accepts referrals from over 300 other dentists whose patients require a rare level of quality care. Whatever has led to your tooth loss, Dr Bhat and his team will be able to restore your dental function and enhance your aesthetic appeal. Tooth loss can happen for several reasons. You may have experienced long-term decay and disease, or a sudden fracture due to injury. You may be missing just a single tooth, or a whole set of them. Dissatisfaction can take many forms, from not being able to enjoy your food properly, to feeling like you want to hide your smile when photographs are being taken.The dentist Joe Bhat can provide you with fully-functioning, durable, and great-looking new teeth. Complex cases are approached with a wealth of knowledge and an appetite for success. The results can be hugely beneficial to your quality of life as well as your dental function. If you already wear removable dentures, they can be stabilised using implants. This can free you from the need to use adhesives, and enable a better overall experience of eating, drinking, and speaking. As a knowledgeable and meticulous contemporary dentist, Joe Bhat will create a customised plan and explain the stages of your treatment before the process gets underway.The exact duration will vary, depending on the complexity of your needs. Usually, a short period of healing is required between the placement of the implants into the jawbone, and the attachment of the new teeth to the implants. Around two months is a typical treatment time. The oral health and cosmetic benefits of your new teeth will last for many years. This entry was posted in Dental Implants on 19th February, 2018 by Joe Bhat. Dr Joe Bhat is a dentist with considerable experience in the treatment of complex dental needs. At his practice in north London, you’ll be looked after by a friendly team with a comprehensive array of multi-disciplinary techniques. With a long-term clinical focus on implant dentistry, Joe Bhat has the skills and knowledge to provide you with high-quality replacement teeth. The durability, efficiency, and cosmetic appeal of these teeth can transform your quality of life. Over 300 other dentists refer their patients to Joe Bhat. At the Moor Park Specialist Dental Centre, Joe and his team provide innovative solutions to the problems caused by missing teeth. However your need for new teeth has arisen, whether it’s through long-term decay and disease, or a sudden injury, Joe Bhat will provide you with stable and fully-functional replacements. Any number of teeth can be replaced, from a single one to a whole set. The new teeth feel natural and have a clean and healthy appearance, helping you to regain cosmetic confidence as well as dental function. Joe Bhat has placed over 5,500 dental implants. He qualified as a dentist in 1992, and undertook many years of further training at the country’s leading institutions. The award of Master of Clinical Dentistry from the University of London was followed by a Membership in Restorative Dentistry from the Royal College of Surgeons, Edinburgh, in 2001. Having established his own dental practice, he created a training and mentoring scheme to enhance the skills of dentists. He has lectured many times on the subject of implant dentistry, both in the UK and around the world. 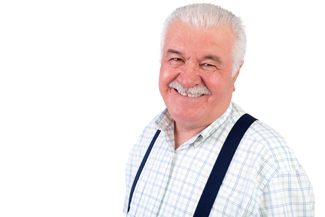 Dr Joe Bhat can use implant dentistry to stabilise your existing dentures or bridges. This can remove the need for you to use messy adhesives to keep your teeth in place. Dr Bhat can carry out bone grafting treatments prior to the implant procedure. This ensures there is sufficient bone density to make the implants highly effective. Such techniques require a high level of skill, and significantly improve the performance of the replacement teeth. The time and consideration invested in tooth replacement treatments give the patients of Dr Joe Bhat a significantly enhanced dental experience. This entry was posted in Dental Implants on 14th February, 2018 by Joe Bhat. A well-regarded and highly-qualified dentist, Joe Bhat will treat your tooth replacement needs with care and precision. He has placed over 5,500 implants during his many years of clinical practice, and accepts referrals from over 300 other dentists whose patients need complex and careful treatment. At the Moor Park Specialist Dental Centre, the internationally-renowned dentist Joe Bhat and his team provide multi-disciplinary solutions that will improve your dental function and enhance your visual appeal. As a skilful and dedicated dentist, Joe Bhat is able to provide effective and elegant replacement teeth for a wide variety of problems. Whether your teeth are decayed, fractured, infected, or totally missing, Dr Bhat and his team will work with you to provide fully-functioning replacements. The appearance of the new teeth is given careful consideration so that a natural look is achieved. You’ll regain your ability to bite into food and chew it without fear of dental mishaps, while your smile will look bright and healthy. If you already wear removable dentures or temporary bridges, your dentist Joe Bhat can use contemporary implant dentistry techniques to stabilise them. This will improve their function and remove the need for you to use adhesives. It can take time to complete the process of receiving dental implants. Sometimes, preliminary work is needed to ensure there is sufficient bone density for the implants to be successful. It’s important to ensure your mouth is healthy and clean before work can begin. A period of healing is usually required between the placement of the implants in the jawbone and the attachment of the teeth to the implants. Overall, typical treatment times can be around two months. The exact duration will depend on the complexity of your replacement requirements. Replacement teeth from the dentist Joe Bhat are long-lasting and highly effective. By greatly enhancing the overall performance of your teeth, they can improve your quality of life. Plus, by boosting your aesthetic appeal, they can increase your self-confidence. Joe Bhat is a skilful and considerate contemporary dentist who provides his patients with innovative and durable tooth loss solutions. This entry was posted in Dental Implants on 12th February, 2018 by Joe Bhat. More and more dental clinics across the UK are offering dental implants as a long-lasting solution to replace missing teeth, ill-fitting dentures, bridges and crowns. But because this is a relatively new treatment, only about 30 years old, when there are complex cases, they often send their patients to a highly experienced dental implant surgeon, such as me, Joe Bhat. I work from Moor Park Specialist Dental Centre and receive referrals from more than 300 dentists across the UK. 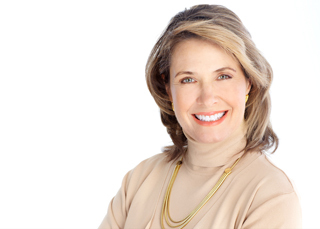 When you come to me, you know that you can trust that you are receiving careful, experienced treatment from a dentist who has been working with dental implants for 16 years – a very long time in a field that is only just hitting critical mass in terms of availability. In fact, now I only deal with complex cases. I am highly skilled in performing minor to moderate surgical procedures. I use these skills during the first stage of implant treatment, when the implant is surgically placed into the jawbone. I am also highly skilled and trained in the reconstruction of missing teeth. You can therefore trust that your new teeth will blend in with the teeth around them. When not working as an implant surgeon, I also lecture on dental implants, both in the UK and abroad. I am a Fellow of the International College of Dentists (ICD) and Fellow of the International Team for Implantology (ITI). I am also an Examiner for the General Dental Council and for the Royal College of Surgeons, Edinburgh for the Diploma in Implant Dentistry. In addition, I run my own implant training and mentoring programme for dentists in London. To get dental implants fitted by me, Joe Bhat, at Moor Park, you need to be referred by your general dentist. Moor Park Specialist Dental Centre has been performing simple to complex restorations and dental implant treatments in London for over a decade. It is equipped with modern technology including a cone beam CT scanner and digital microscopy. I look forward to welcoming you to the clinic and discussing your case with you. This entry was posted in Dental Implants on 24th January, 2018 by Joe Bhat. If you have lost some or all your natural teeth, chances are you will be feeling that it is not just your teeth you are missing. Despite medical progressions in dental care, tooth loss remains a prevalent problem in the UK – mostly due to tooth decay, gum disease, or injury. Tooth loss can unfortunately cause a ‘sunken’ look to the face and can also cause problems with eating and drinking. Tooth loss will also often affect speech and can be detrimental to self-confidence. Up until the 1970s, the only treatment available for tooth-loss patients were dentures or a bridge. Technological advances since then mean that you can now retrieve your healthy-looking smile with dental implants from Dr Joe Bhat. Do you need a new dentist? Joe Bhat could be one to choose for your dental implants. He has been a dentist for over 25 years and even furthered his training in Oral and Maxillofacial Surgery at some of the country’s leading units for five years. He has also become a Fellow of the Royal College of Surgeons and has undertaken a three-year full-time training program in Prosthodontics at the London Dental School. He became a Master of Clinical Dentistry in 2001. Your new dentist, Joe Bhat regularly lectures both in the UK and abroad on dental implants and is an extremely popular speaker around the world. He even runs his own implant training and mentoring program for dentists in the London area. Dr Joe Bhat is known around the country for performing many successful dental implant procedures. An initial appointment with your dentist Joe Bhat will be used to discuss your concerns and needs. This appointment will include x-rays, a suggested treatment plan and cost estimates for your chosen procedure. Some cases may be more complex than others and you may require a CT scan in order to arrive at a definite diagnosis and plan for your treatments. Once you have received your proposed treatment plan, our friendly team will contact you to check if you require any further information about your consultation. This entry was posted in Dental Implants on 22nd January, 2018 by Joe Bhat. Has your smile lost its sparkle? Have you been unfortunate enough to have lost any of your natural teeth? Is your self-confidence suffering? Well, dental implants could be the answer you have been looking for. The worry about anyone noticing your missing teeth when you laugh or smile could be gone forever with dental implants from Dr Joe Bhat. Missing teeth can even change the appearance of your face. 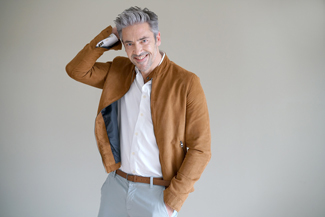 With dental implants, you can restore your natural face shape, without the sagging and sunken appearance that goes hand in hand with missing teeth. The success rates of dental implants have increased greatly due to technological advances. It also depends on where in the jaw the implants are placed but, generally, dental implants from a trustworthy dentist, such as Dr Joe Bhat have a success rate of 98%. With proper care and attention and regular dental check-ups, your dental implants can last a lifetime. Dental implants from Dr Joe Bhat are built to last. Traditional, tooth-supported dental bridges have an average lifespan of around six years. 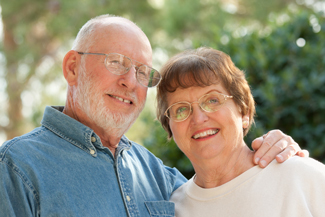 With properly cared for dental implants, they can last decades. With periodic adjustments, or slight changes to your implants, they could even last you a lifetime. And you no longer have to worry about removing your dentures. The fear of your dentures slipping or even falling out, can be gone forever. You can do your regular dental hygiene routine while your teeth are where they are supposed to be; in your mouth. The cost of dental implants is made up of many components. Dr Joe Bhat’s time on the diagnostics, analysis and preparation work prior to the implant is a big part of the cost, as well as the implant surgery and replacement tooth fitting after the implant has healed. The dental implant itself is also a consideration. The implant is a precision-made piece of titanium engineering, manufactured to fit perfectly in your mouth. There are many different types of dental implant, some more cost effective than others: come in for a consultation to find out what your options are. This entry was posted in Dental Implants on 17th January, 2018 by Joe Bhat. What are the advantages of dental implants compared to a denture or bridge? If you are looking for a dental implant dentist, Joe Bhat could be the practitioner you have been looking for. The main advantage of dental implants over a denture is that they are fixed, so you have the confidence to eat and talk without the fear of your teeth moving or slipping. As well as this you can taste more of your food compared to a denture, as the roof of your mouth will not be covered by plastic. When missing teeth are replaced by a bridge, the teeth on either side of the space must be ground down to provide the anchors for the bridge. When dentist Joe Bhat uses dental implants instead, these teeth can be left untouched and so the implant is a far less invasive solution for replacing missing teeth. 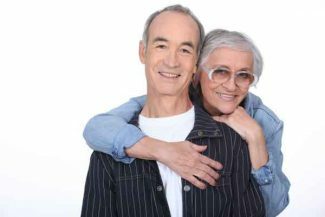 There is no upper age limit for dental implants and if you have sound oral health then dental implants will almost certainly be suitable. Dentist Joe Bhat recommends a minimum age of 18 to ensure the jawbone has stopped growing. There are some factors that could make dental implant treatment difficult, including certain medical conditions; especially conditions affecting the bone density. Also, our diabetic patients may generally have longer healing times. It should be noted that heavy smoking or higher alcohol consumption can also have an adverse effect on the health of your gums and jawbone and may compromise the outcome of your dental implants with Dr Joe Bhat. Dental implants have been available for over forty years and there is a wealth of studies to show that they are a successful long-term solution for tooth loss. They have success rates of 98%. Dental implants from Dr Joe Bhat are made of commercially pure titanium, which is a special material known for its strength and ability to bond with living tissue – the body does not reject it as foreign and it integrates with the jawbone. Some patients are also surprised to find out that It is also the same material that is used for hip replacements, showing its strength and durability. This entry was posted in Dental Implants on 15th January, 2018 by Joe Bhat.